Much like RTIC coolers, the Kenai is a factory direct cooler. As the name implies, these coolers are shipped from the factory straight to end consumer. By cutting out the retailers and middlemen Kenai has been able to slash the price. The biggest difference between RTIC and Kenai is build location and warranty. Kenai coolers are made in the USA (in Iowa to be exact) and RTIC coolers are made in China. That’s not to say that RTIC coolers are cheaply made, but we realize that many of our readers do care about where their coolers are made. It should come as no surprise then that Kenai coolers offer a lifetime warranty. The same cannot be said for RTIC, as RTIC coolers come with a one year warranty. This is a bold stance by Kenai which highlights superior build quality. 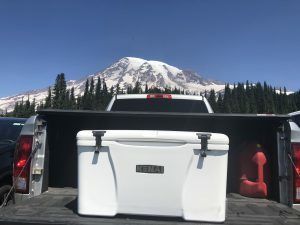 After seeing the price of the Kenai 45, we were a little reluctant to get excited about testing this cooler. In our prior testing, the cheaper coolers usually perform as one would expect…. cheaply. However, this was anything but the case with the Kenai. In fact, the Kenai 45 held ice longer than both of the Grizzly 40 qt coolers we tested previously. To be fair, we have to level the playing field by stating that external temperatures were cooler in this test compared to prior tests conducted in the middle of summer, in Florida. Even still, holding ice for nearly 8 days in the middle of summer when testing in the Pacific Northwest is impressive any way you slice it. Afternoon temperatures were regularly above 90° during this test. As with most of our tests, the Kenai 45 was filled to capacity with ice (which was about 45lbs of ice), several beverages, and opened 3 times daily. This has been the standard across most of our cooler testing so that comparisons can be made across manufacturers, sizes, colors, etc. In addition to being tested in cooler temperatures, this cooler was frequently transported from one campground to the next. Although the Kenai had an advantage of cooler temperatures, it had the disadvantage of being jarred about in the bed of a pickup truck. 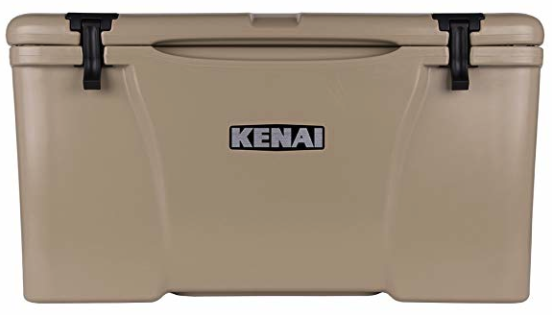 Although the Kenai cooler offers stellar ice retention, the build quality is to not be overlooked. Even though this is one of the most affordable truly roto molded coolers available, corners were not cut to get there. 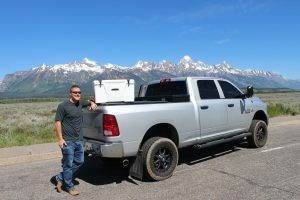 The biggest difference in this cooler when compared to a Grizzly of similar size is the latch system. 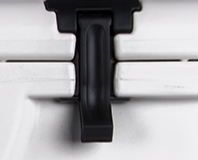 The Kenai uses a latch system unlike any other cooler we have tested. Some may also be inclined to compare this cooler to the LifeTime Products 55Qt cooler we have tested. Although at similar price points, these are two drastically different build qualities. 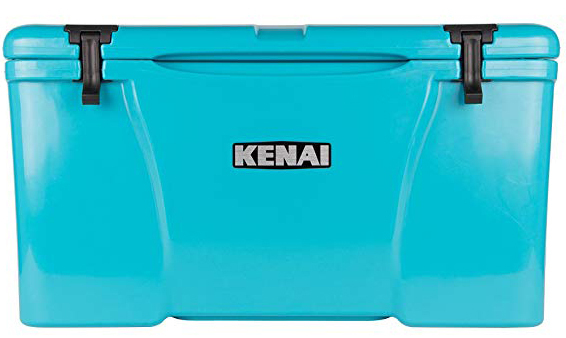 The LifeTime is a “blow mold” cooler and the Kenai is a roto molded cooler. This gives the Kenai a much more rigid feel, especially in the lid. We felt comfortable sitting on the lid of this cooler, whereas the LifeTime caved in slightly when applying weight to the lid. 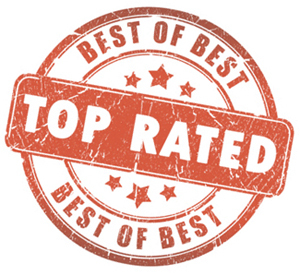 It goes without saying that Kenai is just as well constructed and high performing as many other roto molded coolers available.